The reason I’m posting is because I was a totally mediocre participant. I missed at least a quarter of the classes due to scheduling conflicts or winter colds. 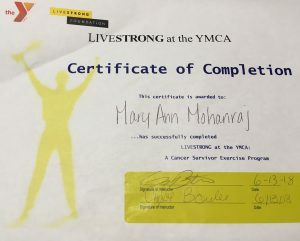 When I went, I never did more than the minimum expected, and the minimum was pretty minimal, because the class was geared towards people recovering from illness, and so it was all ‘go at your own pace,’ and ‘lift only as much as you feel like.’ It was a busy semester, I was harried and tired and cranky about going. And nonetheless, the numbers don’t lie. My cardio capacity generally is not great, but if you look at my resting heart rate at the end of a 6-minute walking function test, it dropped from 132 to 111. The amount I could lift with both arms and legs also increased (75 / 275 to 85 / 305). The changes are minor, but considering that I wasn’t tracking or making any real effort to lift more than was easy to do, I’m still pretty impressed. 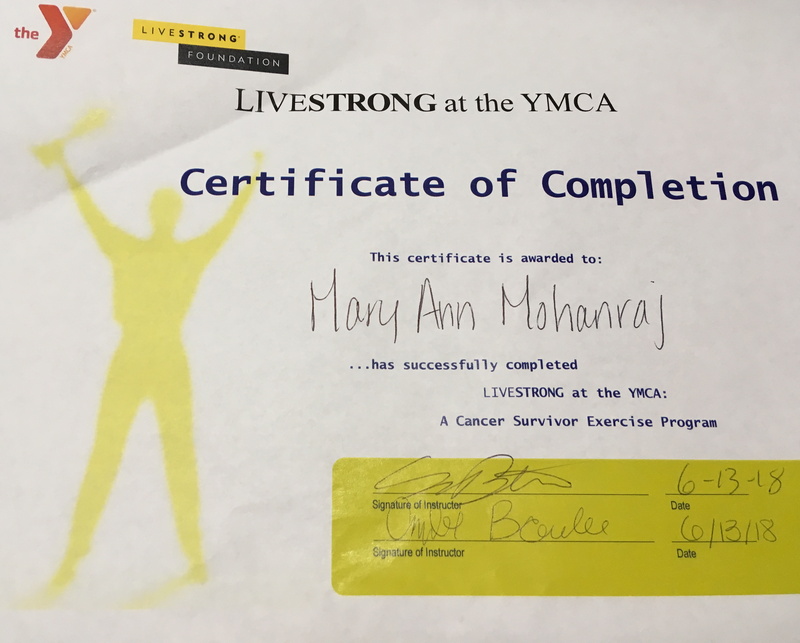 What’s more, everyone in the class showed similar improvement, including people who were much older, much more out-of-shape, and much more recently ill than I was. Show up, as regularly as you can manage. It matters, in exercise and elsewhere.